Pink Blazer: Ganni. Pink Pants: Ganni. Loafers: Gucci (loafers I love for less). Cashmere Sweater (also talked about it here). Bag: Mansur Gavriel (one of my most worn pieces – see me wearing the circle bag here and here). Coat: Topshop (on sale and I own it in 3 colors). Scarf: ACNE. Super into suiting- talking about it here! Awww bonjour Pink Panter Lady … it’s the sweetest look of pink! ???? I like the different variations of pink because it stops the color from being too overpowering. This gorgeous pink suit is so powerful! Oh my, I could never pull off this perfectly layered total pink outfit! Your suit is rad! great look and great post!!! I can hear the pink panther theme music ringing in my ears! Um.. love the colorful backgrounds! Your backgrounds are always so so perfect! Love love love this pink suit! So amazing! I seriously love the all pink look! They are such beautiful pieces and the outfit comes together wonderfully. Thanks so much for sharing this look! Loving this pink on pink on pink! such a great monochrome look! Love ? this combination of bubble gum and blush is fabulous . Thanks for your recent response to my email on my post on Phantom Thread.. I love the menswear suit in such a pretty feminine color! Obsessed with this look on you, and I am head over heels for this colorful little corner of the world you discovered! 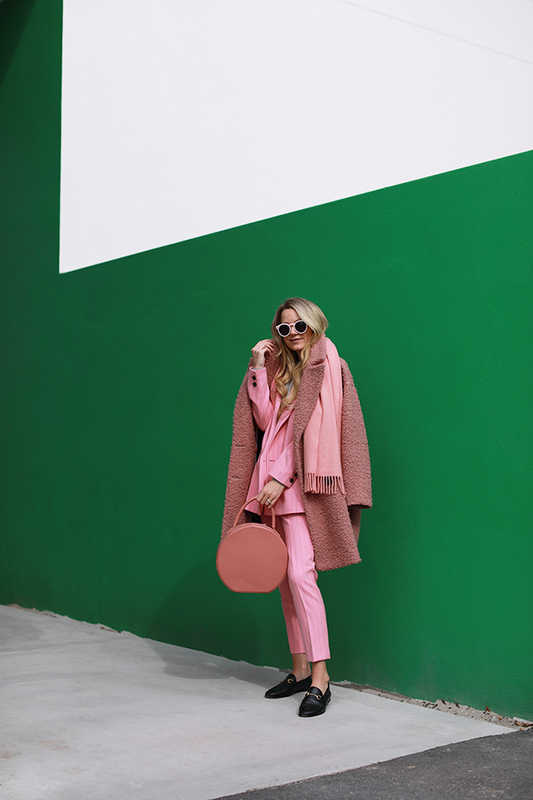 Ahh really into the layering and all that pink! This suit is everything, I love it so much. Great look, love this coat and the suit is just perfect! Wow, I love everything about this! I’m always a sucker for matching sets! You have such a way with color! Lovvvving this full on crzy pink look. 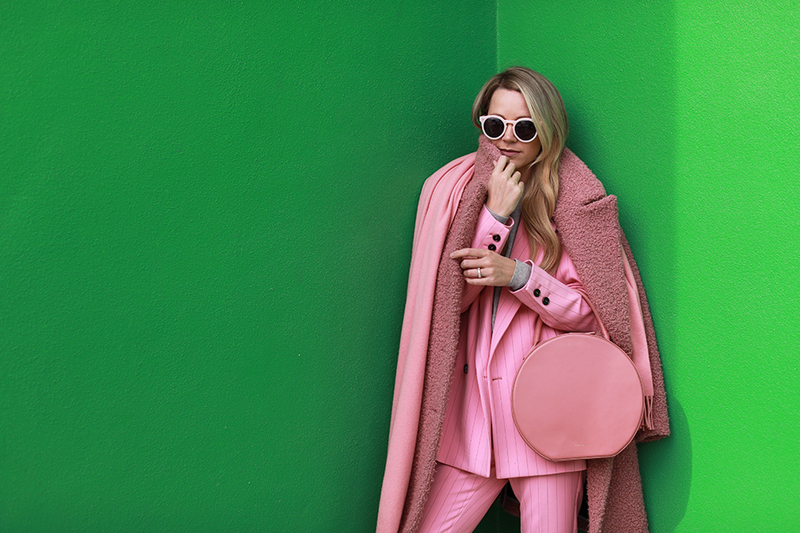 This pink suit is SO SO SO chic on you! 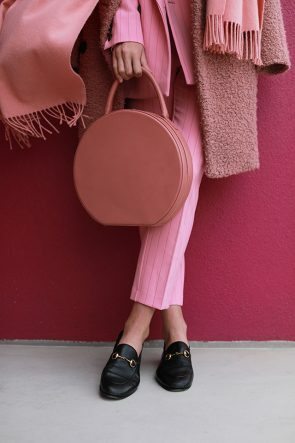 Wow, who knew pink from head to toe can look that good! Wow this total pink look is beautiful! You wear pink like it’s nobody’s business!!! !